This week has brought more than a few reasons to celebrate the University of Tennessee. The Volunteer women shut out Texas A&M in soccer on Sunday night, besting another top-five program and securing the school’s first-ever trip to the NCAA Tournament quarterfinals in the process. Tennessee athletes gathered for team Thanksgiving dinners. And, perhaps most important of all, two of the players on UT’s men’s basketball team decided to get baptized. Smack dab in the middle of Tennessee’s 3-0 start in the SEC, both Kyle Alexander and Jordan Bowden hit the tub to declare a life of dedication to Jesus Christ, as teammate Grant Williams shared via Instagram. Rick Barnes: What happened last night with Kyle Alexander and Jordan Bowden (being baptized) is far more important than any win we've ever had. Alexander, Bowden, Williams and the Volunteers are ranked No. 5 in the nation after three games. Tennessee returns to the court on Wednesday with a game against Louisville, then hosts Eastern Kentucky a week later. The Vols are slated to match up with another top-five team, No. 3 Gonzaga, on Dec. 9. 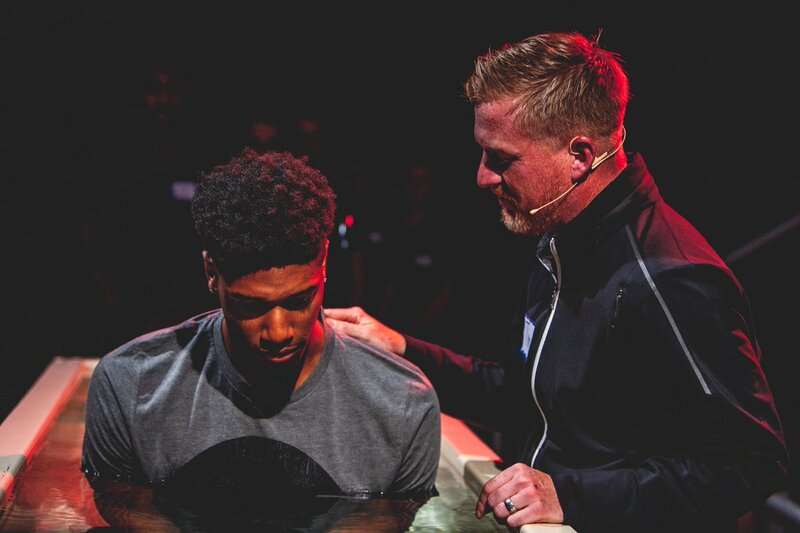 In-season baptisms aren’t unusual across the sports spectrum as of late. The defending Super Bowl-champion Philadelphia Eagles made headlines with hotel baptisms during their Lombardi Trophy run in 2017. Oakland Raiders quarterback Derek Carr once baptized former teammate Cordarelle Patterson at a team hotel. Ditto for three Dallas Cowboys and countless others at colleges across the country.